Later in life he moved onto be James Bond and became an international superstar. As he got more and more famous he changed his Southern English accent to the one he has now which is very very Scottish. 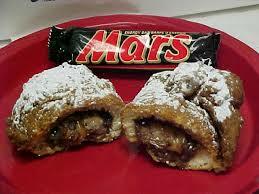 His diet has changed accordingly and now Simon loves deep fried Mars Bars. I think this love of fried food goes back to when he was younger and he grew up above a chip shop, all that lovely batter. I grew up loving batter, but realised now that it is not the healthiest food going…you should remember that Simon…no more Mars Bars. Remember them old chants you used to make before going to bed…We love chips, We love chips, We love chips. Highly experienced entrepreneur and investor in the Internet sector. One of the earliest UK Internet entrepreneurs – He founded his first Internet start up in 1996 and sold it to Amazon.com. He now enjoy helping other people as an investor and advisor, and with his partners at Episode 1 Ventures they are investing with a £37.5m Enterprise Capital Fund. Simon is also Non Executive Director at VisionDirect.co.uk and CEO at StormForward Ltd. Studied at the University of Cambridge and Brunel University London.They are looking to meet entrepreneurs who are building early stage software based businesses in any vertical market, whether b2c or b2b.